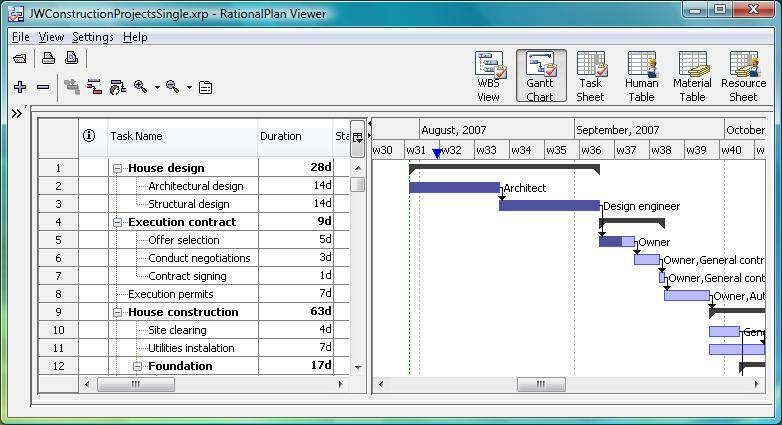 RationalPlan Project Viewer allows managers to plan and control company projects from start to end. Usually project managers plan and control the projects from start to end and make the necessary changes. However, there are some other people (like project stakeholders) that have to check and overview the projects' evolution into their smallest detail. In this aim we developed a Project Viewer that can be freely distributed. If you need more information please contact the developers of RationalPlan Project Viewer (Stand By Soft Ltd.), or check out their product website.